In 2017, the Internal Revenue Service (IRS) reported that it received a total of 135,638,000 individual tax returns. This year, the number of tax returns is likely to hover around 136 million. According to the IRS, the average tax refund for taxes filed that year was a whopping $2,727. Although this is a substantial amount, it never hurts to get a better tax refund this go around. Check out these four ways to get a better tax refund for taxes filed in 2019. Although you can’t earn any more money for the year of 2018, you certainly can pour more money into your IRA and HSA. Short for individual retirement accounts and health savings accounts, these two types of savings accounts are set up by the United States government to help people make the most of the money they save. You will be able to deduct all the money you pour into these two savings accounts from your taxable income. As such, it only makes sense to max out these two savings accounts before the April 15th filing deadline. Most Americans trust tax professionals to take care of their tax needs each and every year. Sending tax-filing professionals your business will result in fewer mistakes, leading to larger refunds and getting them more quickly. 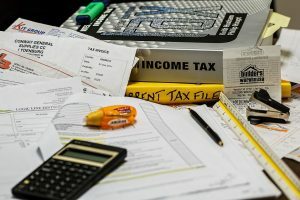 If you earned a lot of money this year or are concerned with potential tax problems that might arise, you should definitely trust a tax attorney to help you get your taxes organized and correctly filed for 2019. Perhaps you will get a better return than you had anticipated. If you’re a working-class American citizen, you are most likely eligible for the Earned Income Tax Credit. The maximum amount you can receive from this tax credit for Tax Year 2018 is $6,431. That’s a lot of money. It’s crazy to think that one in five Americans who were eligible for the Earned Income Tax Credit last year failed to claim it. You can deduct however much money you give away to charity from your taxable income. Don’t give away to charity if you can’t afford it or if you weren’t planning on doing so. However, if you are planning on donating to tax-deductible causes, do it before April 15 to maximize your refund this year. Filing taxes is something many Americans struggle with. However, receiving tax refunds is something we all love. Follow these tips to maximize your refund this year.